Whenever I'm travelling, I will always make sure that I bring some masks with me so I can do a pampering session in the comfort of my hotel room while chilling with a book. 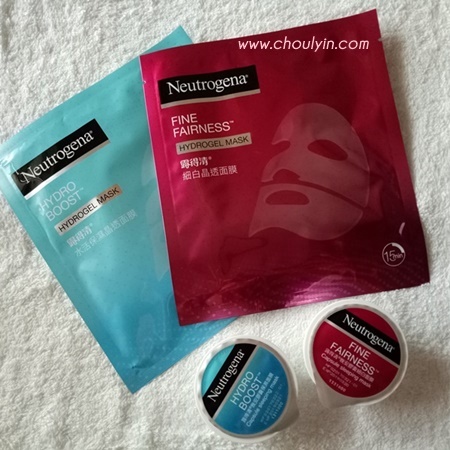 Thanks to Neutrogena, I was sent some hydrogel masks and capsule sleeping masks to review. Since I had to travel to Cambodia for a work trip last month, I decided to pack a piece of each with me and try it out when I was there, as I would be there for four days three nights. 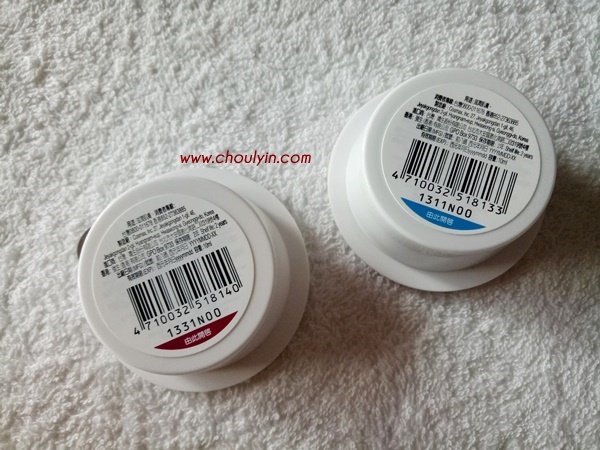 A capsule sleeping mask pack with Niacinamide to make skin luminous and radiant looking. How to use the masks? 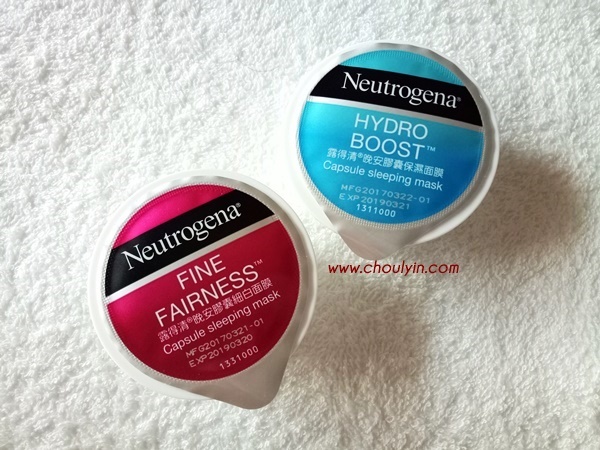 Just apply Neutrogena® Capsule Sleeping Mask for 15 minutes to get all benefits of a facial treatment. The product packs the intensity of a hydrating facial for your skin. The best part is that the 10ml size makes it ideal for on-the-go fix and multimasking (if you feel like it). It can be used anywhere whenever your skin needs an instant boost. I brought the Hydro Boost Capsule with me as I knew I was going to be out the whole day and my skin would be parched and dry by the time I came back to the hotel. So I popped this into the fridge the moment I arrived at the hotel and on the third night, I took it out and decided to use it and head to bed. My first thoughts were that there is a lot product in one small 10ml capsule. I applied it very liberally and at the end of it, there was still a lot left over! It's enough for two sessions/ uses. Upon first contact on my skin, it was a welcome change as I had been out the whole day. 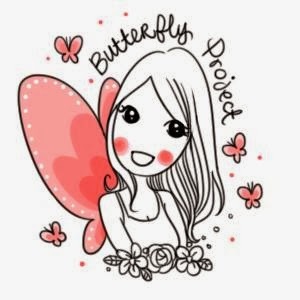 I loved the coolness of the product when it touched my skin, and I could feel it soothing my skin. The texture was very smooth, and silky to the touch. 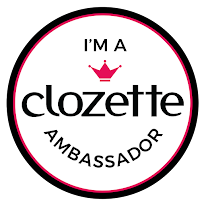 It was very easy to apply, and because there was so much product, I could even slather it onto my neck. After I woke up and washed my face the next morning, my skin felt so soft and supple. It was as if it had drunk up all the goodness of the product and my skin felt plumper. In the future when I go on trips, I would definitely bring this capsule mask with me. If you have never tried sleeping masks before, I would recommend that you purchase this and try it out for yourself. At only RM12.90, it's actually very worth it, considering you can use it for two sessions. 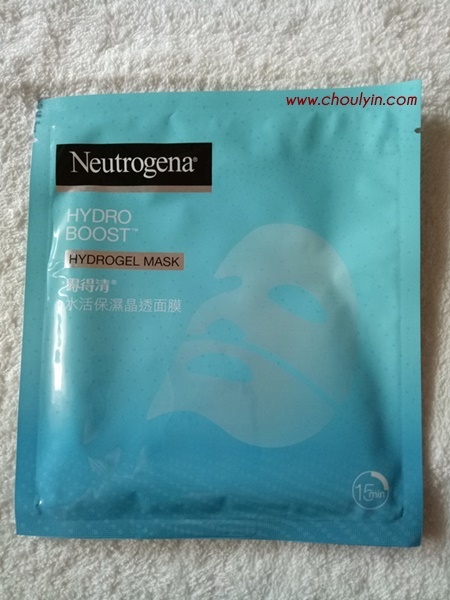 A hydrogel mask with Niacinamide to make skin luminous and radiant looking. Contains 100% natural derived Hyaluronic Acid to replenish moisture continuously, leaving skin optimally hydrated, radiant and supple. The gel mask is a 100% paperless Hydrogel mask that delivers stronger efficacy from its essence-gel making process and its special obscuring effect. When using the Hydrogel recovery mask, the serum is absorbed into your skin as the hydrogel melts, and the gel can pack in much more nutrients than a cotton sheet can. Additionally, the hydrogel helps to keep your skin directly in contact for longer with the nutrients without evaporating as quickly as a cotton sheet would. 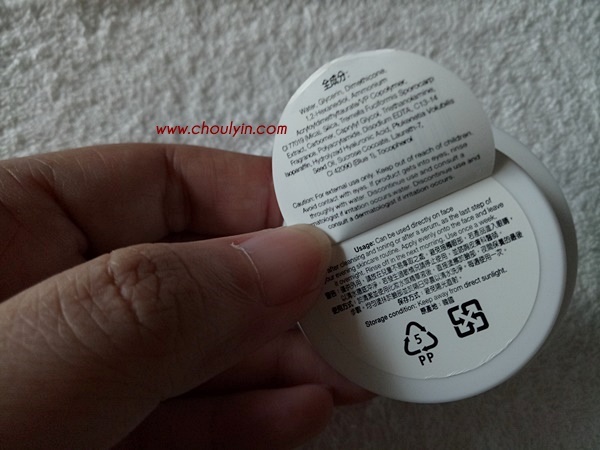 Also minimizes dripping vs paper sheet masks. 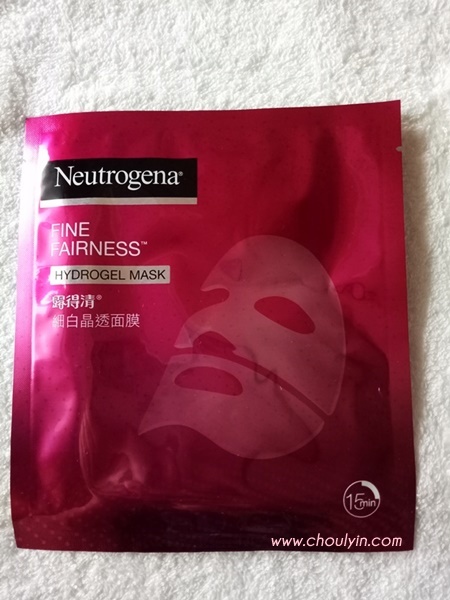 The other mask I brought with me to Cambodia was the Hydrogel Fine Fairness Mask. I felt that after all that travelling, I need to bring back some radiance into that tired face. I used it on the second night, and I loved it. The mask comes in two sheets, and even has a flap that you can cover over your eyes to ensure that your eyes get reinvigorated too. 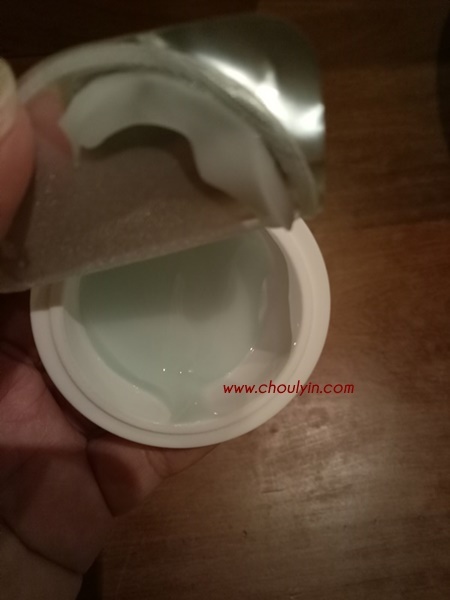 As it is a gel mask, it has a gel like texture, and due to this, there is no dripping of the essence on the floor, on your pillow, or all over your neck. I love that it adhered really well on my skin and moulds perfectly around my face like a second skin. No matter how I moved my head, it just doesn't slip off. After I removed it, my skin felt really soft. 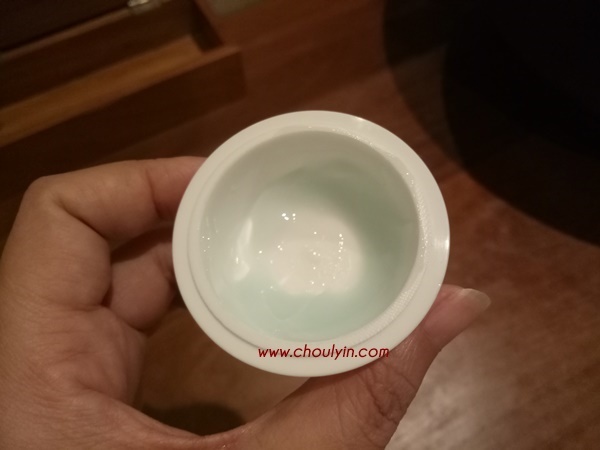 Because I put it into the fridge before I used it, when I applied it on my face, its cooling effect really soothed my tired skin, and I immediately felt relaxed. 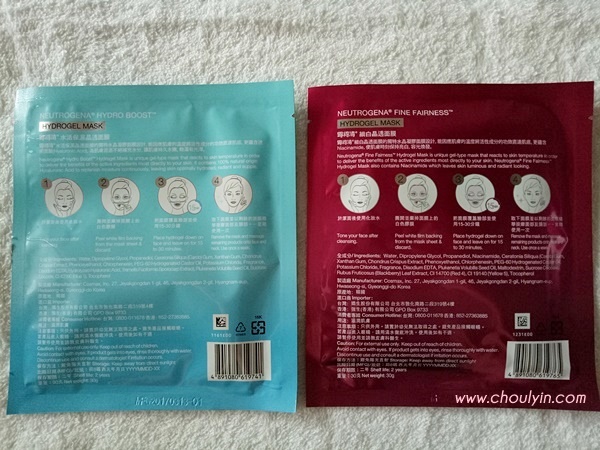 Normal sheet masks dried up after a while, but not this one. Because it's gel, it doesn't allow for much evaporation, which means more of the product gets absorbed into your skin, and that is a big plus point for me. Will you use these masks? Let me know!